One thing that has always bothered me as a collector is how the card manufacturers literally drop the ball on some of their designs. I've heard plenty of grumblings about 2010 Topps, and the similarities between early Upper Deck sets. With the power of photoshop and the ability to jump into my way-back machine, I've decided to pay a visit to Duryea, Pennsylvania circa late 1980. For the life of me, I have never understood the color choices selected for Topps sets. One year it will be spot on to team colors, then maybe it's a design like '71, '75 or even (gasp) '87 that has different colors or abstract designs. However, I cannot understand what they were thinking when they designed 1981 Topps. The concept was great, put the team hat on the lower left corner. Brilliant, save for the fact nobody wears a hat the actually says "Dodgers" then their position. Cute thought, but failed the big picture. Perhaps Topps was limited by the MLBPA from placing hat logos on cards, but doubtful. And finally, what in the world was up with the color choices? Green for the Reds, White Sox and Blue Jays? Red for the Yanks? The only ones that were remotely right were the Red Sox (Red), Mariners (Yellow) and Mets (Orange). Although, being a Padres fan, I take great joy in seeing the Dodgers and Giants adorned in a pink silouette. Quite fitting. 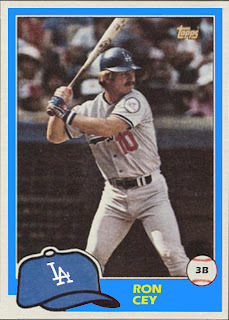 Anyways, after altering history, a new 1981 Topps card has emerged. Behold! 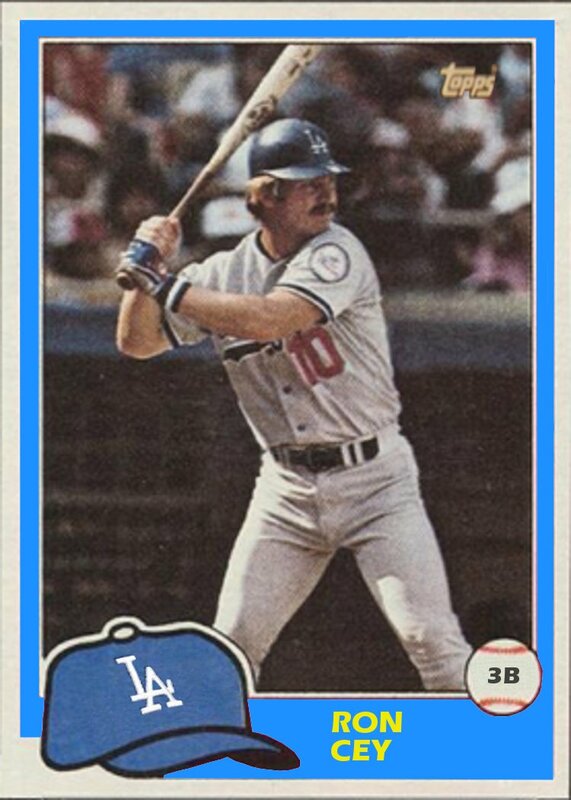 A new 1981 Topps Ron Cey (The Penguin was only chosen because the Dodger colors are easy to simulate and their logo is simple). Moving the position to the baseball (ala 75 Topps) and moving the Topps logo to the upper right enabled the actual hat logo to be placed on the hat (of all places). 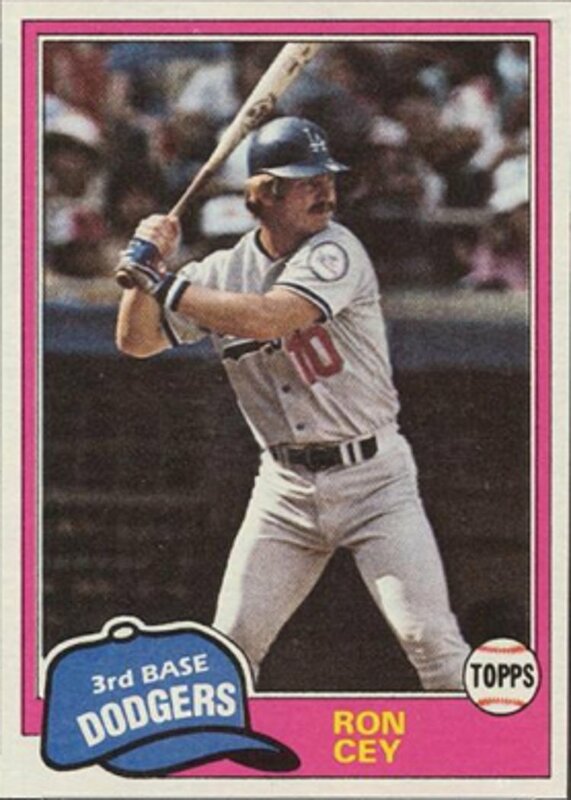 And, Ron Cey is no longer shrouded in Hello Kitty and has a fitting frame of Dodger Blue. Stormy already said my thoughts exactly! Great post! the power of photoshop? you told me you didn't know how to open it. I hated the '81 Topps design, chiefly because of that silly cartoony cap. For me it's unsalvageable.